With the announcement of a broad swathe of new data products and services at Microsoft Connect in New York City last week -- including that the next release of SQL Server will support Linux (and Docker) -- the software giant has signaled a renewed focus on customer choice and flexibility, underscoring the increasing importance of cloud computing as a central pillar of its business. "We've been on this journey for the last few years now," says Rohan Kumar, general manager, Database Systems, Microsoft. "It's really a company about choice right now. We really want to meet customers where they are." Microsoft has offered multiple flavors of Linux on its Azure cloud public cloud platform and infrastructure for several years now. "Microsoft loves Linux," Microsoft CEO Satya Nadella said during the 2014 announcement of new Azure services. "Twenty percent of Azure is already Linux. We will always have first-class support for Linux [distributions]." Microsoft took that love another step last week. In a move that would have been stunning more than a decade ago, it joined The Linux Foundation — which sponsors the work of Linux creator Linus Torvalds and plays a central role in the promotion of open source software — as a platinum sponsor. "As a cloud platform company, we aim to help developers achieve more using the platforms and languages they know," Scott Guthrie, executive vice president, Microsoft Cloud and Enterprise Group, said in a statement last week. "The Linux Foundation is home not only to Linux, but many of the community's most innovative open source projects. We are excited to join The Linux Foundation and partner with the community to help developers capitalize on the shift to intelligent cloud and mobile experiences." As part of its sponsorship, John Gossman, architect on the Microsoft Azure team, is joining the board of directors of The Linux Foundation. 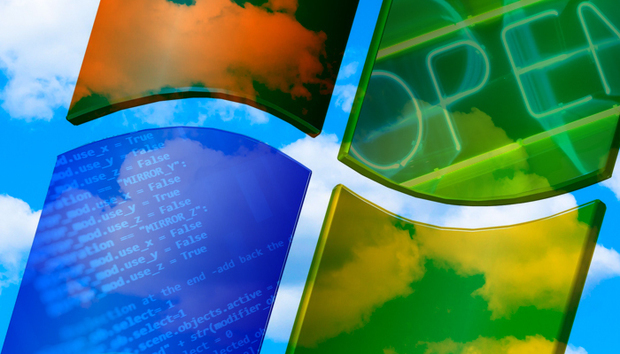 Once the tireless defender of proprietary software against the insurgency of the open source model, Microsoft has come around in recent years. It contributes to a variety of Linux Foundation and Apache Software Foundation projects, including the Linux Foundation's Node.js Foundation, OpenDaylight, Open Container Initiative, R Consortium and Open API Initiative. It also maintains a repository of its own open source code. "Microsoft has grown and matured in its use of and contributions to open source technology," Jim Zemlin, executive director of The Linux Foundation, said in a statement last week. "The company has become an enthusiastic supporter of Linux and of open source and a very active member of many important projects. Membership is an important step for Microsoft, but also for the open source community at large, which stands to benefit from the company's expanding range of contributions." The reason, Microsoft's Kumar says, is simple: In the messy, real world of enterprise IT, hybrid shops are the norm and customers don't need or want vendors to force their hands when it comes to operating systems. Serving these customers means giving them flexibility. That philosophy has spread from Microsoft's cloud business to its on-premises infrastructure business as the company seeks to make support for hybrid environments a key differentiator of its cloud and on-premise offerings (an idea Nadella pushed as Microsoft's executive vice president of Cloud and Enterprise before his ascension to CEO). Last week, Joseph Sirosh, corporate vice president of the Data Group at Microsoft, announced that the next release of SQL Server would, for the first time, support Linux. "Now you can also develop applications with SQL Server on Linux, Docker or macOS (via Docker) and then deploy to Linux, Windows, Docker, on-premises or in the cloud," Sirosh wrote in a blog post. "This represents a major step in our journey to making SQL Server the platform of choice across operating systems, development languages, data types, on-premises and in the cloud." Kumar adds that customers tell Microsoft, "I want to use SQL and don't care about what's underneath it. I don't want to worry about it, I just want to know that whenever I want to install SQL, I have the choice to do that." All major features of the SQL Server relational database engine are coming to Linux, Sirosh said, including advanced features such as in-memory online transactional processing (OLTP), in-memory columnstores, Transparent Data Encryption, Always Encrypted and Row-Level Security. There will be native Linux installations with familiar RPM and APT packages for Red Hat Enterprise Linux, Ubuntu Linux and SUSE Linux Enterprise Server. He noted that the public preview of the next release of SQL Server, in both Windows and Linux flavors, will be available on Azure Virtual Machines and as images on Docker Hub. In addition, as a further sign of its commitment to flexibility, Sirosh announced SQL Server 2016 SP1, a service pack that introduces a consistent programming model across SQL Server editions, meaning programs written to exploit in-memory OLTP, in-memory columnstore analytics and partitioning will work across the Enterprise, Standard and Express editions. "Developers will find it easier than ever to take advantage of innovations such as in-memory databases and advanced analytics — you can use these advanced features in the Standard Edition and then step up to Enterprise for mission critical performance, scale and availability — without having to re-write your application," Sirosh wrote. Microsoft has also published its JDBC Connector as 100 percent open source and updated its ODBC for PHP driver and launched a new ODBC for Linux connector, all to make it easier to work with Microsoft SQL-based technologies regardless of the underlying OS. Additionally, Microsoft VSCode users can now connect to SQL Server, including SQL Server on Linux, Azure SQL Database and Azure SQL Data Warehouse. The company has also updated its SQL Server Management Studio, SQL Server Data Tools and Command line tools to support SQL Server on Linux. "I'm excited about Microsoft as a company truly embracing choice," Kumar says. "We're clearly seeing the base getting energized in a big way. People are giving us a chance again."